PERMA-CRETE® Exterior Vertical Concrete Stain (VCS) is an opaque water repellent designed primarily for spray application to exterior, above ground, pre-cast and tilt-up masonry substrates. It is alkali and efflorescence resistant and can be applied to a substrate with a pH of 7 to 13. 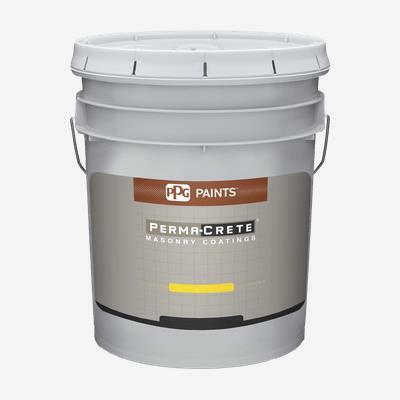 PERMA-CRETE® Exterior VCS provides resistance against water, UV light, staining, is breathable, and is a quick drying product which allows for a second coat application, typically in fifteen minutes. PERMA-CRETE® Exterior VCS will not peel, crack or blister from a properly prepared masonry or previously painted substrate. PERMA-CRETE® Exterior VCS is ideal for use on the walls and support structures of commercial buildings, concrete highway barriers, and bridge abutments. It is not designed to waterproof concrete block or other porous substrates.